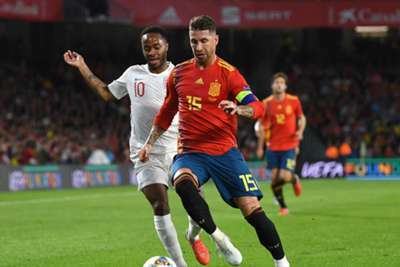 Sergio Ramos has dismissed claims he stamped on England forward Raheem Sterling by posting a clip of the incident from Spain's 3-2 Nations League defeat. But Ramos has moved to quell the talk by uploading footage of Monday's match that appears to show the defender making no contact with Sterling, who was already clutching his leg. Real Madrid star Ramos posted the video on his Twitter page, including a caption in both Spanish and English: "Nothing else to say."